A term of ukulele learning the first chords and simple rhythm notation, singing songs and accompanying themselves. A term of recorder learning the first notes and introducing staff notation, playing melodies with backing tracks. 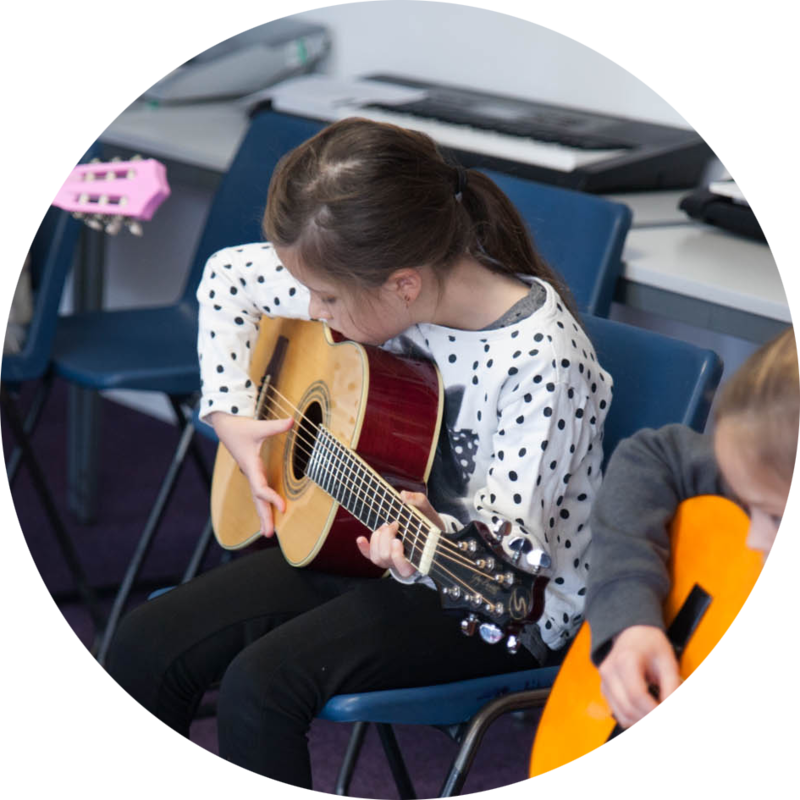 Building on the development of singing and percussion at Key Stage 1, at Key Stage 2 we can add in playing a range of harmony and melody instruments (ukulele, guitar, keyboard, whistle and recorder). A key feature is introducing choice for children’s music making. They can choose an instrument to specialise in and, as their interests develop, the music making which they enjoy most. 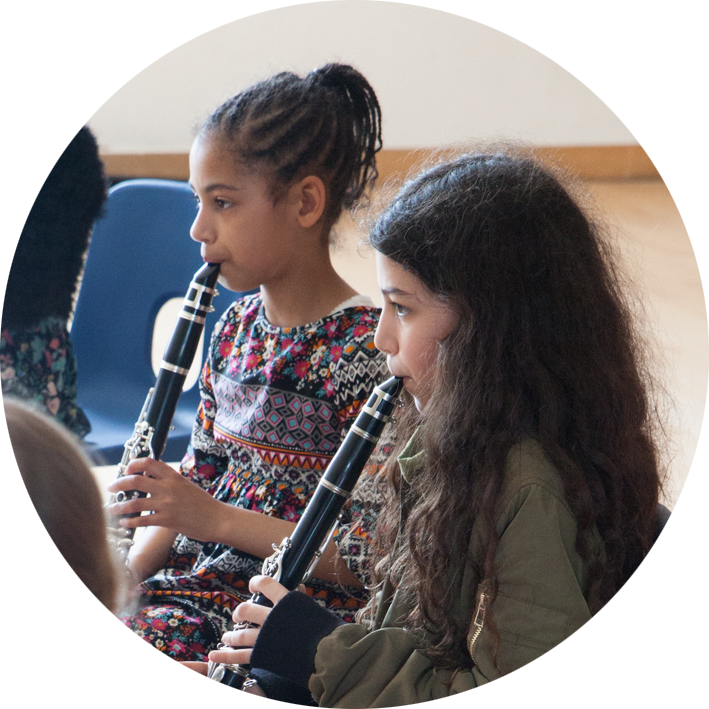 SoundStart is the first year of Whole Class Ensemble Teaching (WCET). 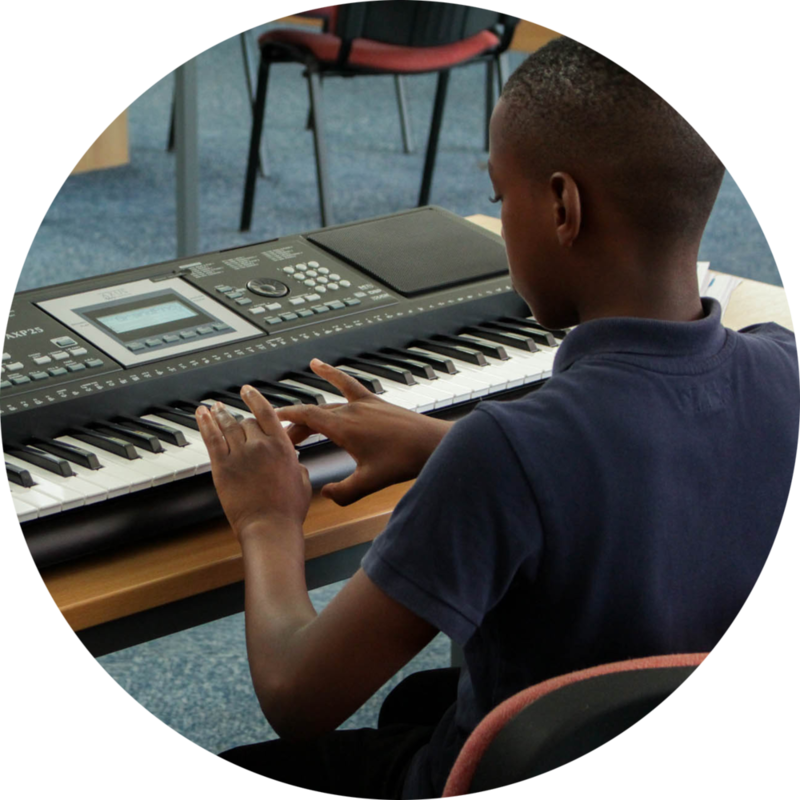 Sound Progress includes a continuing strand of WCET and adds additional activities to create a full music curriculum for the rest of Key Stage 2. SoundStart and Sound Progress can be taught by CMA or school members of staff. Full training and access to all the CMA support materials and pupil online learning resources is available to schools. Where a CMA member of staff is leading a whole class programme we work in the classroom with a school member of staff. This works well with a Teaching Assistant who has an interest in music. The TA can learn alongside the pupils and take additional rehearsals. If the school is using CMA for PPA cover we can provide a plan for the TA to take a class rehearsal when the CMA member of staff is not present.